I can't believe how rubbish the brakes are on my WRX. Will Newage 4 pots go straight on? I have the option of a set of Bugeye brakes which must be better than the OE calipers??? Would love some STi ones at some point in the future though. Fronts should be ok but I believe the backs are different on the hatch, assume they are from a wrx as if your using the discs from the bug and they are from an sti then the pcs will be wrong. yes, its the full front set up, discs,pads and calipers. I just wondered if the mounting points etc were the same? Believe they are as I'm sure someone has fitted hatch front calipers to a blob. Why on earth would anyone do that?? They aren't as good as newage ones??? 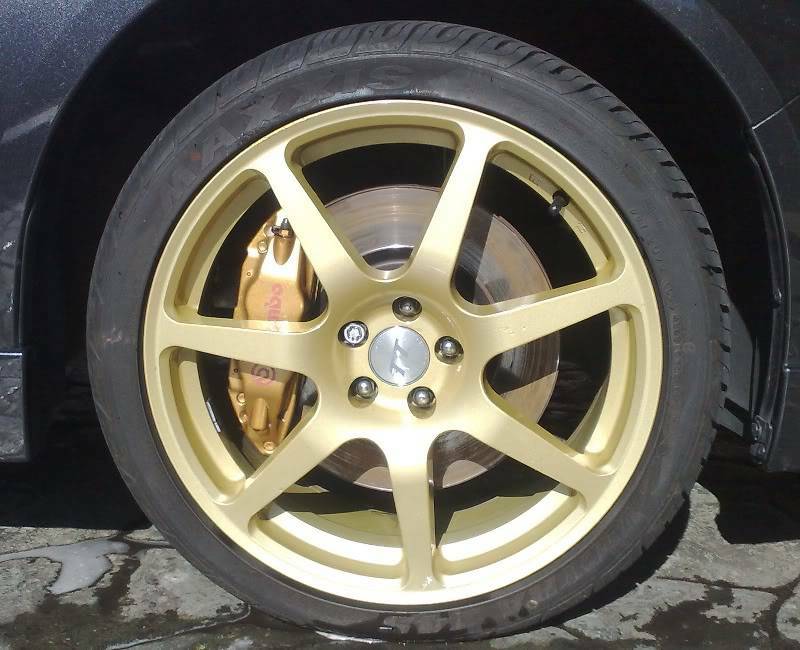 Front STI hatch calipers to a Blob, just replaces the gold calipers to black, more subtle, not sure if the brembos on the hatch are any better than before? Ah! Hatch STi brakes.. that makes sense now. WRX callipers look like the old classic ones. Been busy ... spending again !!! oh so much more bite!!! The only thing is the second hand discs give quite a judder at speed. Hopefully a simple re-skim of the discs. All gets quite (read Very!) hot and a lot of brake dust too?? But the wheels spin reasonably OK when jacked up so can't be sticking callipers. I still can't believe how Subaru can justify so crappy brakes on their performance cars!